Create more space in your home and have a sleeker appearance when you learn How to Hide TV Wires on Your Wall Mounted TV. 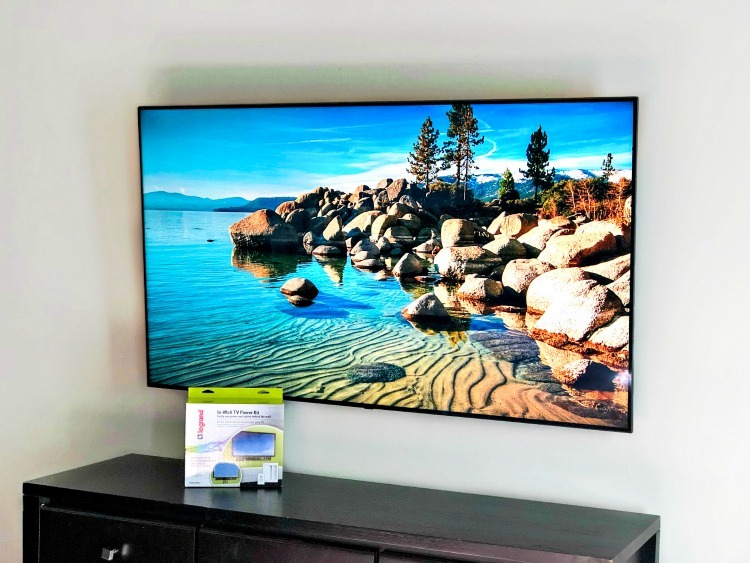 This post on How to Hide TV Wires on Your Wall Mounted TV is sponsored by Best Buy. We moved into our “new” house almost 4 years ago. I’ve always gravitated to a modern, minimalist style in our home but this is the first house that really embodies it. And guess what? We didn’t even build this house – it was a spec home. We liked our other house, but if we were going to go through the hassle of moving I wanted to love our house. This would be our fourth house since getting married and our second since starting a family. A lot had changed. And we knew exactly what we wanted. So much so that I searched the MLS for listings and sent our relator 5 houses we wanted to look at. This being the first one. Sometimes you just know. We’re still in the same neighborhood, although at the back of the neighborhood and on a much quieter street. We love our neighbors, our girls still go to the same school, and we have a bigger, more modern house on a larger lot. The downside that you might think about when you see a modern house is the lack of storage. I mean, it’s there, but it can’t be out in the open like some houses. We don’t have built-in’s or heavy wood furniture with lots of storage inside. This also means that in our living room and bedroom, we have wall mounted TVs. It saves space and gives you a better viewing angle. 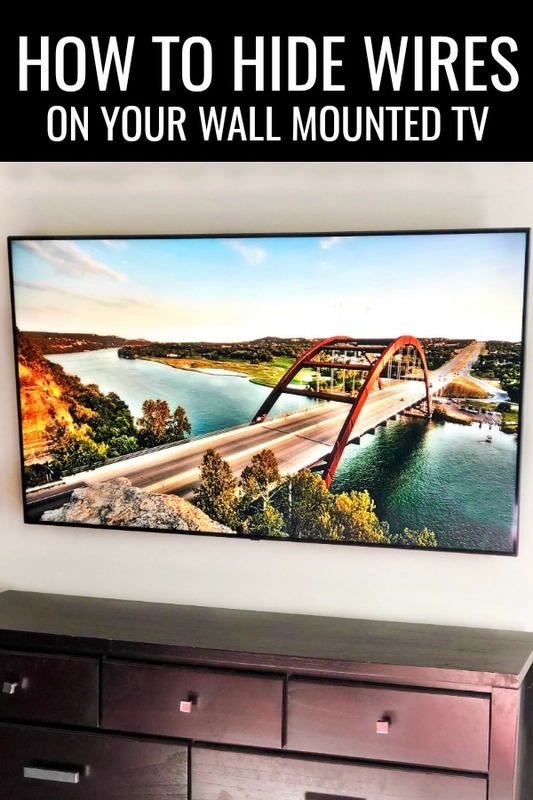 The problem is no wanting to see the wires on your wall mounted TV. 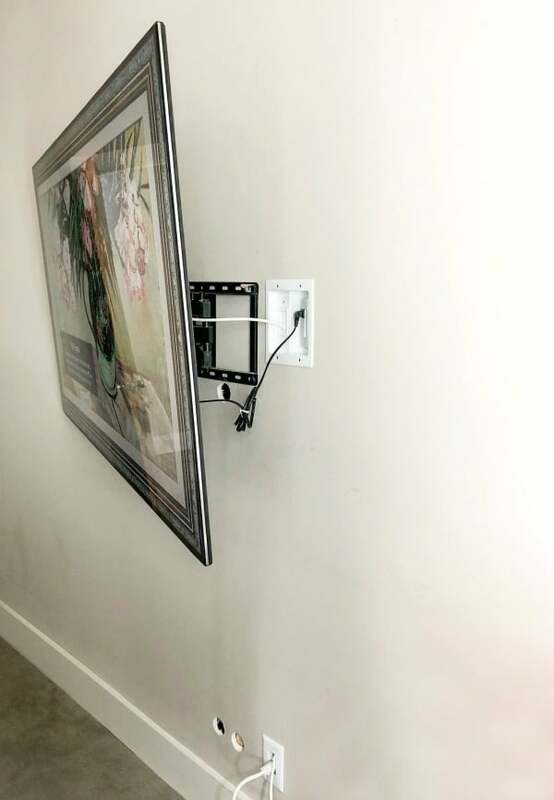 So, if you’re like me and want a clean, sleek look I’m going to share How to Hide TV Wires on Your Wall Mounted TV. You can hide those ugly cables with the Legrand In-Wall TV Power Kit! It’s compatible with any TV brand and helps you to power your wall mounted TV without changing the existing wiring. And you can power other devices even those with special plugs. We had tried a homemade hack of cutting through the drywall and fishing cables but it wasn’t pretty. It looked like we were cutting corners. Best of all, the Legrand In-Wall TV Power Kit is super easy to install. And the white decorator plate hides the cables with a finished look, but still gives you access to the back of the TV. Grab your Legrand In-Wall TV Power Kit from Best Buy so you can hide TV cables too!